All materials and tools you need can be found in the list below. 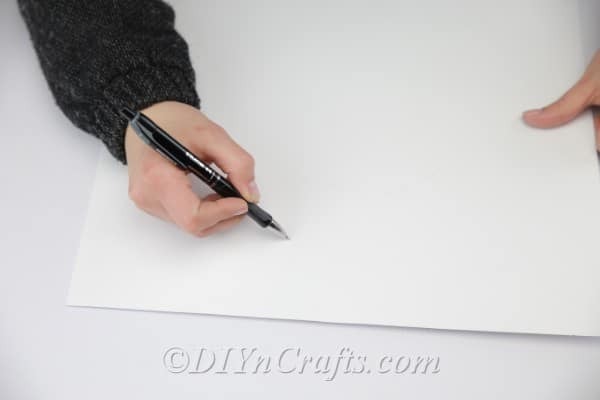 You also can read written directions as you follow along with the video tutorial. 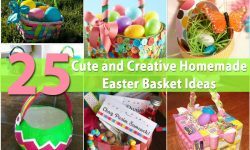 Let’s get started crafting a honeycomb ball Easter bunny. 1. 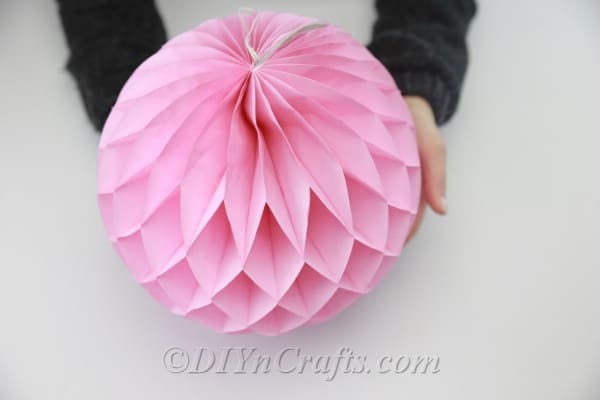 When you purchase a honeycomb ball, it may be in a collapsed form. Expand it so that it is in a ball shape. 2. 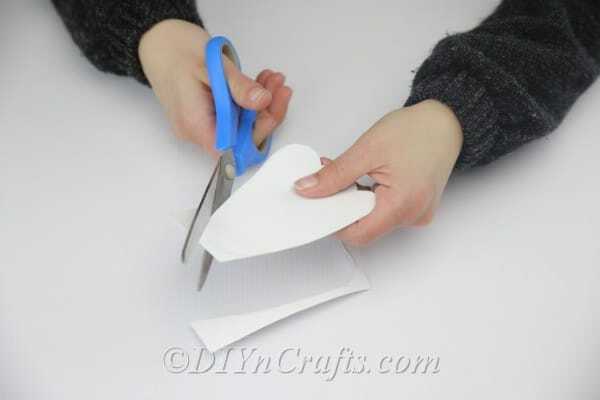 Next, you will need to draw and cut out a circle shape from a piece of white cardboard. 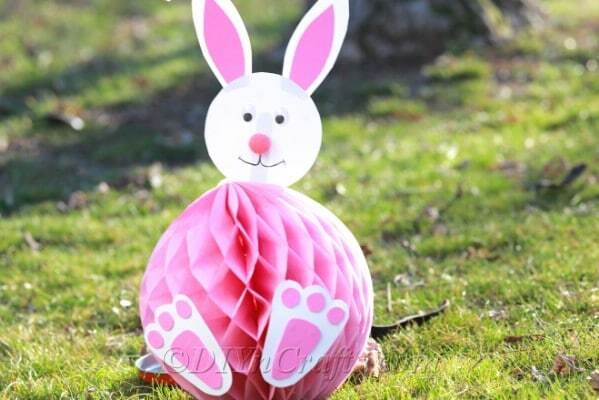 It will become the bunny’s head. The size of the circle depends on the size of the honeycomb ball you are using. 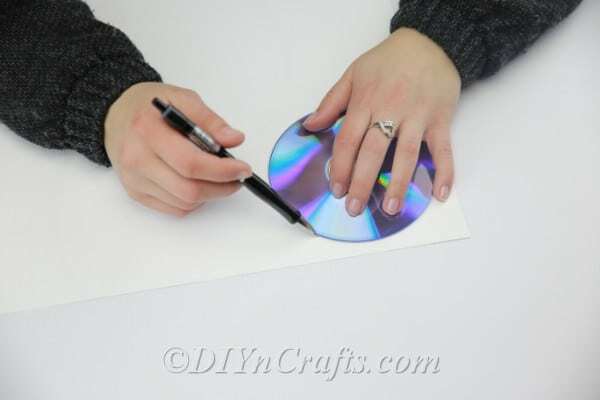 In my case, I found that tracing around a CD produced the size that I needed. 3. 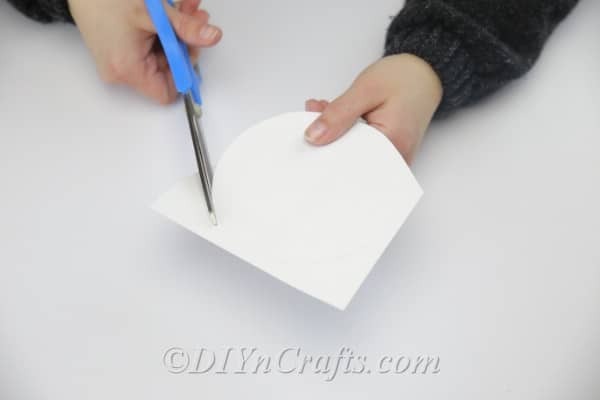 You can set the circle aside now, but use it for reference as you sketch and cut out the shapes of two matching bunny ears, also from the white cardboard. 4. 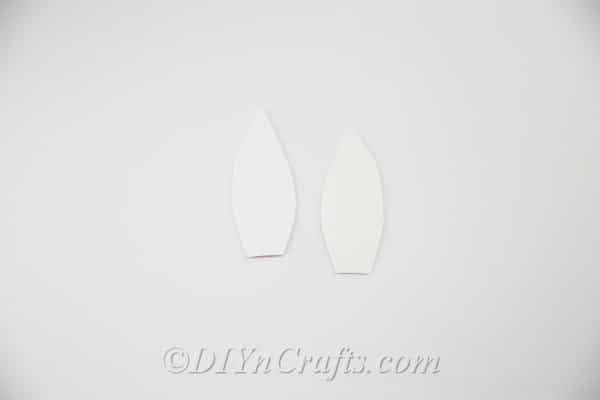 To create the inner ears, cut out the same shapes, but slightly smaller, from the pink foam sheet. 5. 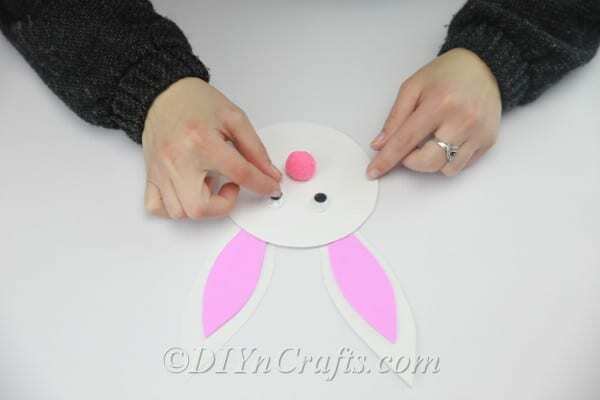 Glue the inner ears on top of the outer ears, and then glue the completed ears onto the circle. It will look best if you attach them at the back. 6. Now that you have the bunny’s ears and head, you can create its face. 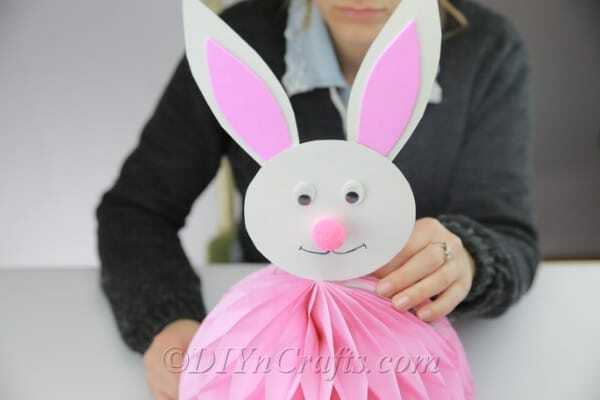 To do this, glue on the googly eyes, and then glue on the pom pom as the nose. Sketch the bunny’s mouth using a black marker. 7. 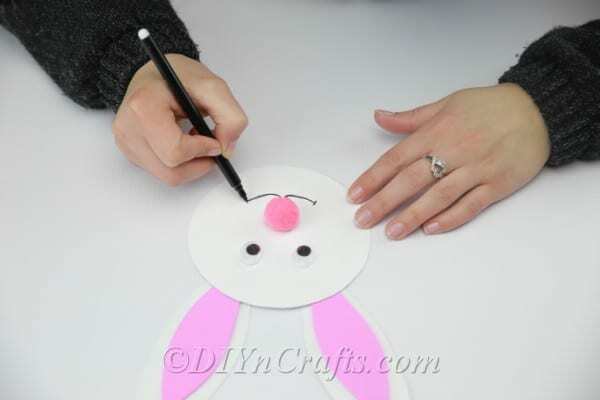 Glue a craft stick to the back of the bunny’s head, sticking out below like a neck. 8. 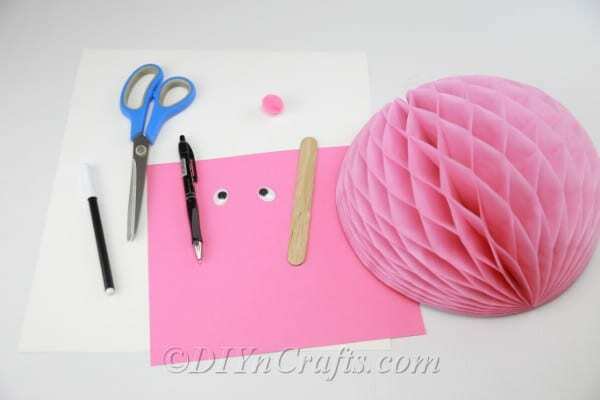 Insert the craft stick in through the top of the honeycomb ball so that the head rests on top. 9. Cut out the shapes of two bunny feet from the same white cardboard that you used to create the head and ears. 10. 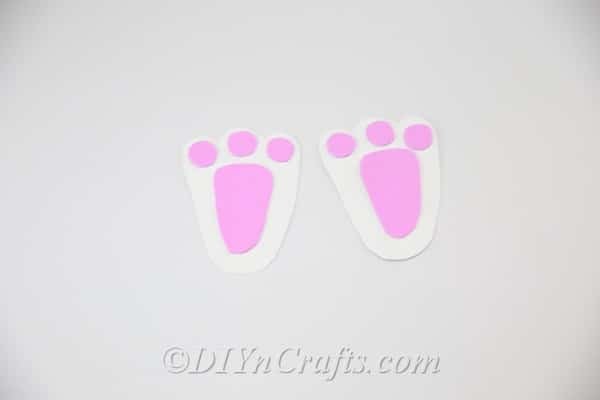 From the pink foam sheet, cut out the shapes of paw pads. 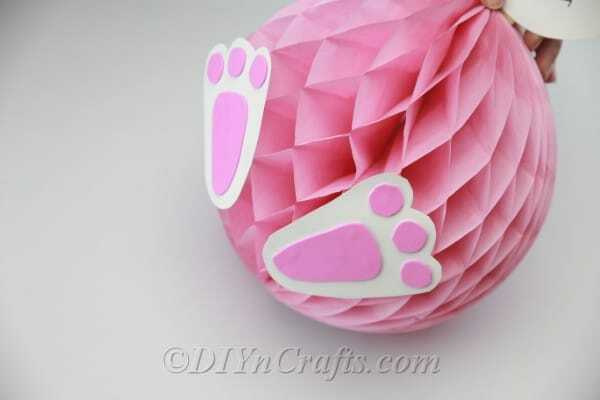 Glue the completed feet onto the base of the honeycomb ball, making sure that they will still be visible when the bunny is standing upright. That means they should be positioned somewhat in the front, not directly on the bottom. That was fast and easy, right? And it’s such a better idea than just putting out honeycomb balls. 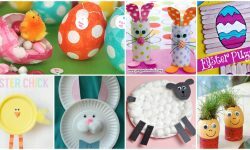 Craft a few of these for your party, and you are bound to hear lots of compliments from your guests. 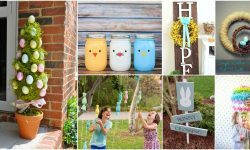 Still looking for more ideas for DIY Easter party decorations? 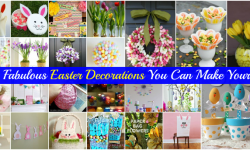 Find out how to make a colorful Easter wreath using sticky notes. 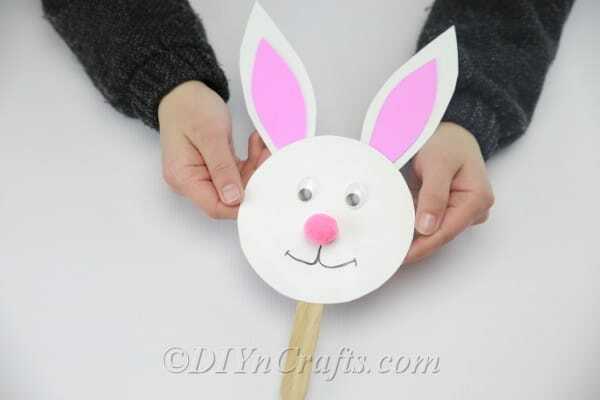 Or try making an Easter wreath which is shaped like a bunny. 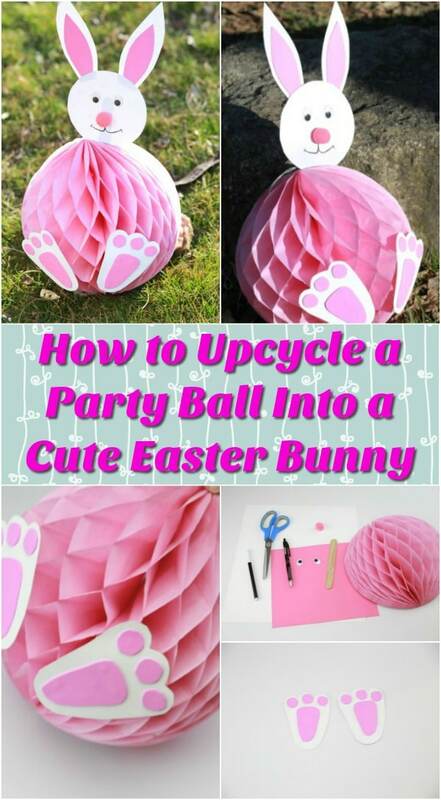 If you need a centerpiece for your table, try this rustic DIY Easter centerpiece project using an old book. 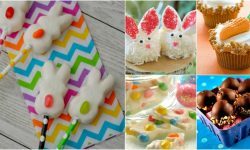 If there will be children at your party, keep them entertained with these dot-to-dot Easter activity pages for kids with free printables. 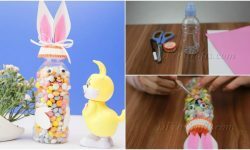 Keep exploring the site for more fun and easy Easter DIY projects, and check back again soon for even more exciting tutorials.